My Favourite Voucher Codes – an online discount code provider – holds a charity poll every month on its website. 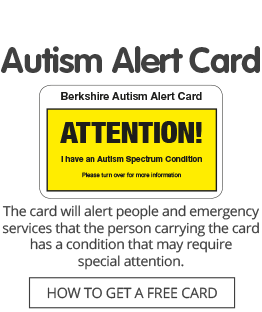 Autism Berkshire has been invited to take part in the February poll. This is a wonderful opportunity to raise some money for our cause, and we are really looking forward to being involved. The poll sees three charities compete in a playful bid to raise both awareness and funding for their respective causes. Through the use of social media, word of mouth and online promotions, the charities are able to attract voters. This is a great way to raise awareness for the not-for-profit organisations that need it the most within our society. The charity that has the most votes by the close of the poll wins 20% of My Favourite Voucher Codes’ profits for that month. Each charity is also allowed to take part on a 12-month basis, meaning that even if a cause doesn’t quite win the first time, they will always be able to give it another go the following year. My Favourite Voucher Codes prides itself on its giving ethos. Each member of staff strives to bring a sense of support and giving to the team, and the charitable donations are at the centre of everything that they do. They are one of the only discount websites that provides consumers with a way to save money at the same time as donating to a range of charitable causes. They have raised around £56,000 for an array of different charities since 2012 and they don’t plan to stop there. The company is striving to continue raising money for great causes. They have raised money for the likes of Oracle Cancer Trust, Cats Protection, the National Autistic Society and Macmillan Cancer Support. They really have been able to support a wide range of different not-for-profit organisations that help the people who need it the most within our community. If you would like to help support us in this month’s charity poll then make sure that you head over to the My Favourite Voucher Codes website between Friday, February 1, and Thursday, February 28. The poll will be listed on the right hand side of every single page of the website. Simply click on the circle next to Autism Berkshire’s name and then on the Vote button in order to support us in the poll. It is completely free to vote and you do not need to use any of the voucher codes provided at the website, but any that you do use will increase the overall total donated to the winning charity. So please support us today by voting for Autism Berkshire in the My Favourite Voucher Codes’ February charity poll. Click here to cast a vote for Autism Berkshire.